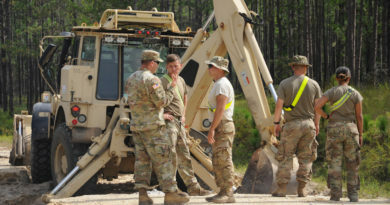 America’s crumbling infrastructure in small towns is often a source of irritation, but the town of West Jefferson, N.C., saw it as an opportunity for innovation when the NCDOT announced it would resurface Jefferson Avenue, the town’s main street from 2010 to 2011. 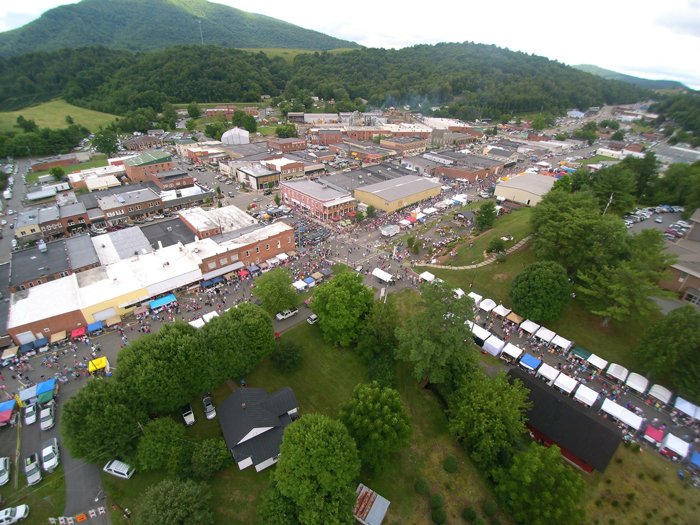 Although the population of West Jefferson is small, with a 2010 census recording 1,299 people, West Jefferson’s location in the Appalachian Mountains makes it a prime spot for tourism. 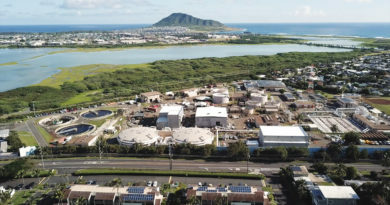 Thousands of tourists visit the area each year, and more and more out-of-state tourists have started to build cabins and housing developments in the area. 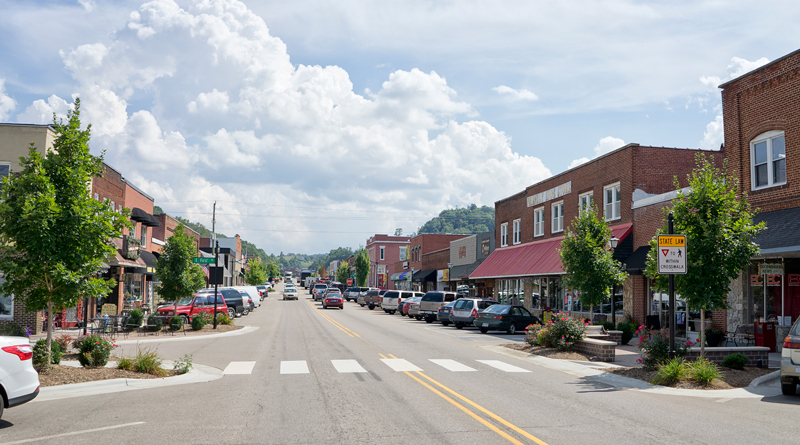 West Jefferson’s downtown area is truly the centerpiece of the town. Not only can you enjoy a quiet night out, but the Arts District is especially popular. Several art galleries and studios can be found throughout the area. During the summer and holiday season the town holds Gallery Crawls, which invite people to walk downtown and view the numerous galleries in a large, open house style. In fact, West Jefferson’s Historic District was listed on the National Register of Historic Places in 2007. West Jefferson’s downtown area is truly the centerpiece of the town, with the Arts District being especially popular, hosting several art galleries and studios. 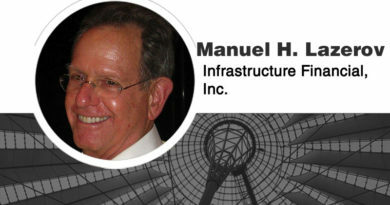 A few of the features involved with revamping the area was the removal of overheard power lines, adding stop signs to streets in favor of traffic lights, curb extension, and installation of landscaping along the street. Because of these investments in the appearance of the town, small businesses took it upon themselves to fill out their storefronts and improve the aesthetic of their buildings. “It’s really increased our tourism, but you wouldn’t believe how the locals love it,” said Price. More pedestrians found the area a pleasing place to be in, so more foot traffic occurred, and the re-pavement of the roads involved a bit of reshaping, so cars can drive slower through the downtown area, further boosting visibility of businesses in the area. West Jefferson’s location in the Appalachian Mountains makes it a prime spot for tourism. According to a 2010 census, the population of West Jefferson was 1,299 people. 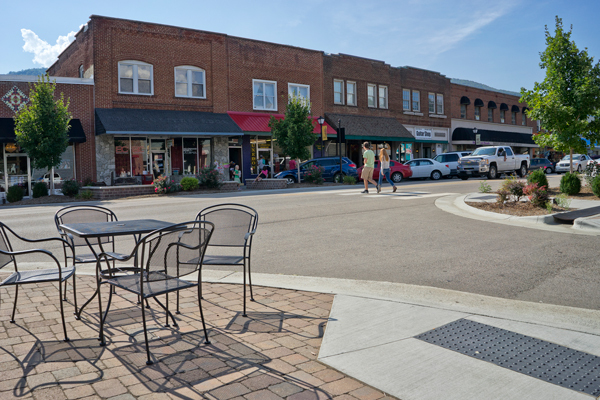 The renovation of the downtown area has won several awards, including recognition as a “Great Main Street” in the 2015 Great Places in North Carolina awards program, and a North Carolina Small Town Main Street award in 2014, as well as 2012. Even though downtown West Jefferson is a small area, its renovation and resurfacing packs a huge punch and exemplifies the benefits a town can enjoy by improving its infrastructure. To learn more about West Jefferson, visit www.townofwjnc.com. Dani Neiley is an Assistant Editor for American Infrastructure magazine. She may be reached at dani@penpubinc.com.